In the 1920s, a new woman was born. She smoked, drank, danced, and voted. She cut her hair, wore make-up, was giddy and took risks. 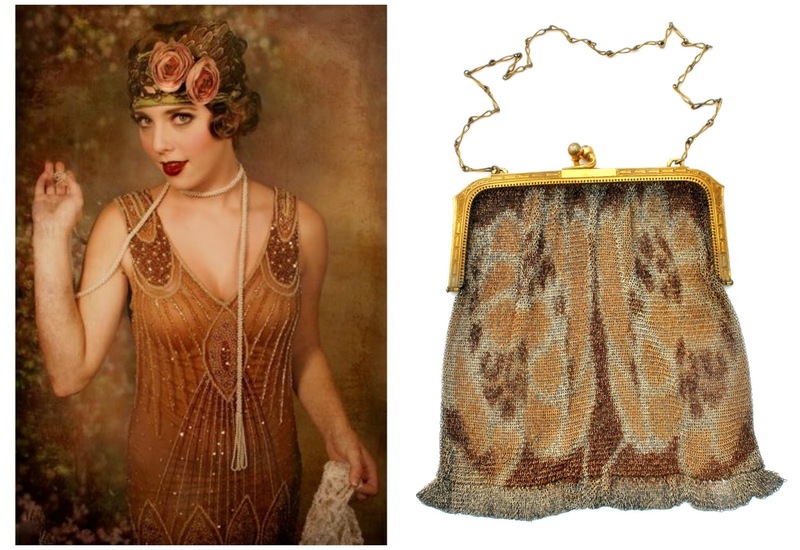 She was a flapper. Whiting & Davis Art Deco purse found here.